(KCPQ) A former high school football coach who claims he lost his job for praying on the field will be in federal court Monday morning. Joe Kennedy's suit against the Bremerton School District will be heard in the Ninth Circuit Court of Appeals. Kennedy is suing the district, arguing that officials violated his religious rights. His attorneys sought an order that would have reinstated Kennedy as a coach and allowed him to pray silently at the 50-yard line after games while the case is litigated. One of Kennedy's lawyers, Mike Berry, called the ruling a disappointing but temporary setback. 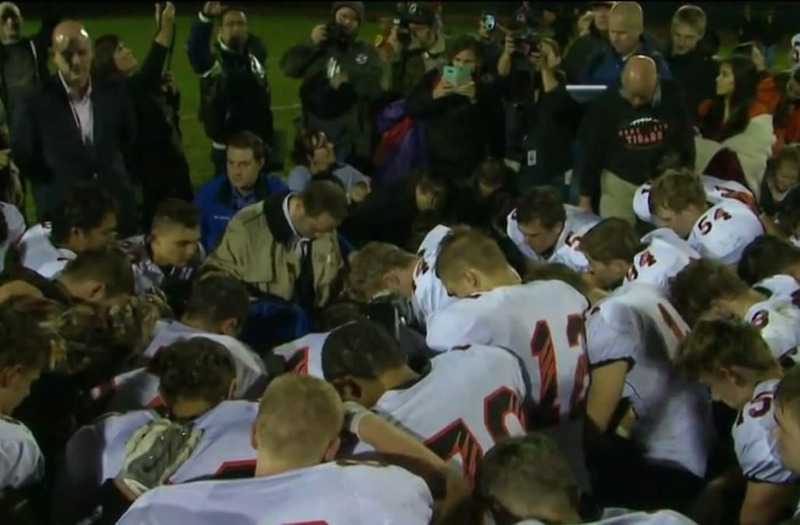 The Bremerton School District has argued that students could feel coerced to participate in religious activity when they see coaches lead or endorse it. Kennedy's contract was not renewed after the 2015 season. His supporters say this is also a free speech issue.